Last 21st March, on the occasion of the WWIM11 (World Wide Insta Meeting No.11), igers were called to L'Aquila, Italy, to celebrate together this virtual and physical meeting of all the fans of this social network. The idea of the meeting arose from the desire to get to know each other, exchange opinions, photographs and challenge each other to see who could take the best snaps, at hashtag and filter rate. For the occasion, the Instagrammers took part in a photographic route through the city centre. An itinerary of a few kilometres to see up close the architectural landmarks from several eras, from mediaeval times to the present. 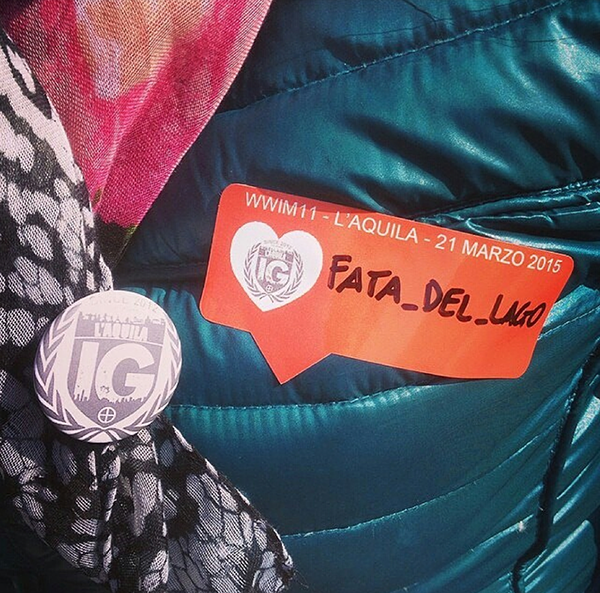 The igers who took part received an identity badge with the Instagrammers L'Aquila logo, the entity that organized the event. During the whole of the tour the badge went with the guests, who immortalized sculptures, people and even the stares.